The following six games are the cognitive skill activities that come standard with Play Attention. Each game targets a separate cognitive skill that is typically difficult for people with attention problems. This helps build sound Executive Function. Attention Stamina will teach you how to direct and sustain your attention. This will help you develop your ability to pay attention to low stimuli activity for longer periods of time. 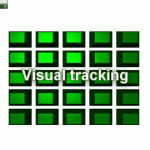 Visual Tracking will teach you how to maintain your attention while visually tracking a randomly moving object or person. This will help you pay attention to your teacher's lesson while he/she is walking around the room. Time on Task This exercise teaches a student to begin an activity quickly, and stay focused on that activity until it is finished. This is not always easy for an individual who struggles with attention. 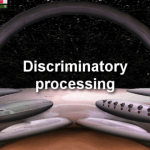 Discriminatory processing will teach you how to take in different bits of information and recognize what is important and what you can filter. Short term memory teaches you how to process information (both visual and auditory) and hold that information in short term memory long enough for recall. This will help you develop your ability to remember dates, names, items in a list, and other facts. Finishing tasks is a skill that can be learned by anyone regardless of ADHD/ADD, or other cognitive impairments. The task may be homework, balancing your checkbook, or even cleaning your room. You can learn to do it in an appropriate amount of time. Sheer Genius will teach you how to do it. The following games are the cognitive skill activities that are Play Attention add ons. These games are not mandatory for your program. Our Play Attention advisors will consult with you to determine your particular needs and guide you to making the right choices for your program. If you would like us to custom build a Play Attention program for you, click the button below! The Auditory Processing exercise develops your ability to follow directions. Your goal is to gradually increase the number of auditory sequences of information you can absorb, process, and carry out. There are 3 different Auditory Processing games available. 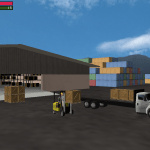 Each game provides different items and locations based on the game category. Learn how to process information at home, office, and school successfully! 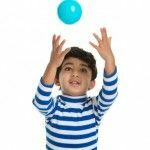 Hand eye coordination strengthens neural networks most important for hand-eye coordination. 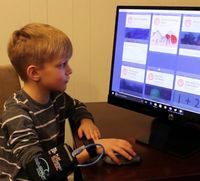 In terms of practical application, this improves real world skills like handwriting, sports, keyboarding, and any activity requiring fine motor skills. 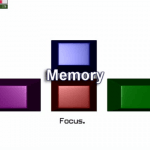 Spatial memory helps us remember where we left our keys or homework. 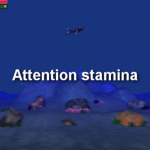 Play Attention helps strengthen spatial memory. Social Skills are typically lacking in persons with attention challenges. Play Attention’s Social Skills module teaches appropriate recognition and response to social cues. Play Attention’s Working Memory exercise strengthens an individual’s ability to retain and manipulate information needed to do complex tasks such as reasoning, comprehension and learning—even amidst distraction. Play Attention introduces Motor Skills, an exciting new game where you help a wizard build his castle. As in all Play Attention games, your mind becomes the mouse or the joystick! Use your focus to be like Harry PotterTM or Luke Skywalker! 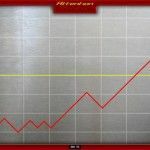 Now your child or students can practice their math facts but only while they are paying maximum attention to the task!